Meet your 2019 Executive Candidates! 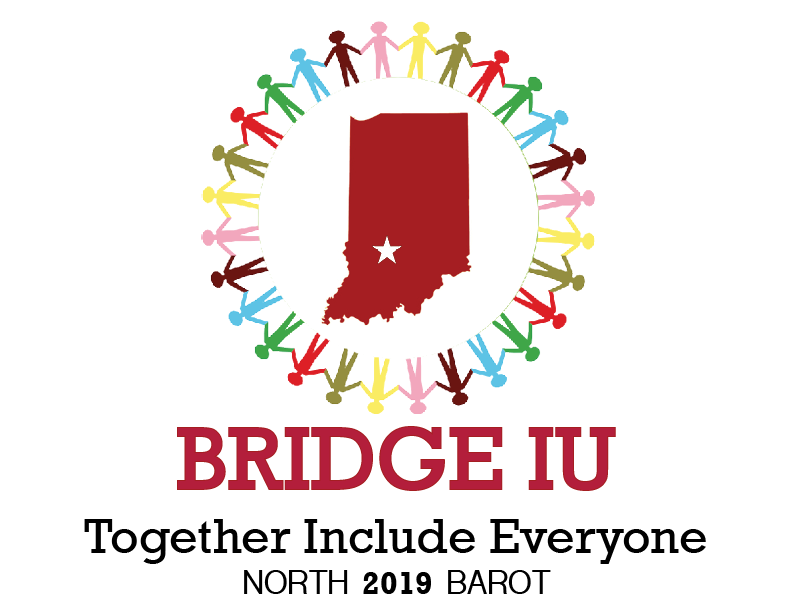 Bridge IU & Vision are the two tickets running to be the 2019-2020 President & Vice President of IUSG! Check out their social media pages & read below about each candidate! Isabel Mishkin is a junior studying Healthcare Management and Policy in SPEA and Public Health. She’s diligent and focused, persistent and accountable, and very (very) invested in the good of the students. 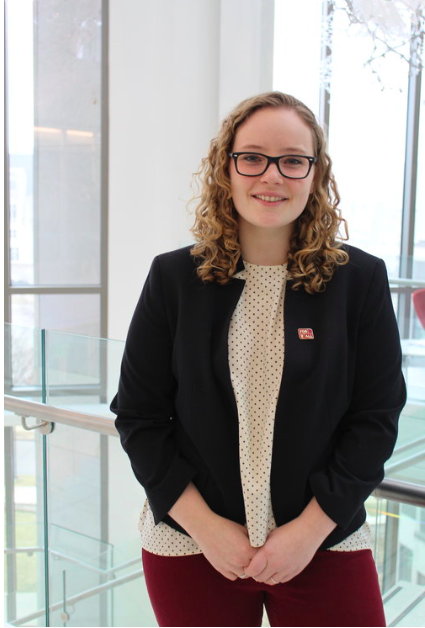 Isabel has served in student government and as President of the National Alliance on Mental Illness (NAMI) on campus since her freshman year and is committed to improving the IU community. Matt Stein is a hardworking, involved student that is currently seeking a major in Law and Public Policy. Upon graduation, Matt traveled abroad where he studied Arabic and Hebrew while working with at-risk youth across Jerusalem. 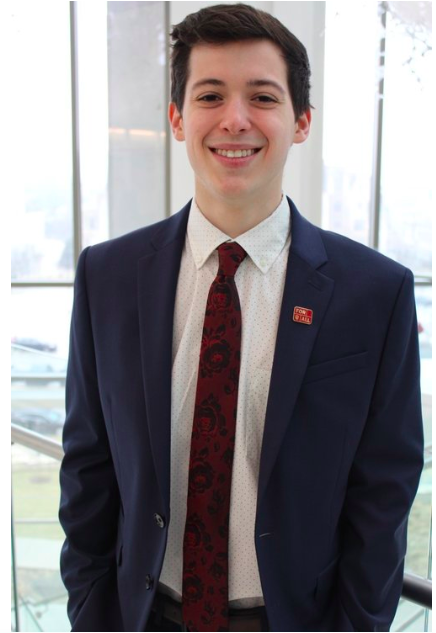 Since being at IU, Matt has worked to advocate on behalf of IU students by, putting together a town hall discussing the limitations of the lifeline law, promoting a proposal for a kosher/halal kitchen on campus, and creating of a Diversity and Inclusion newsletter. Matt’s advocacy efforts have transcended from his role of Director of Drugs and Alcohol Awareness in Culture of Care to the Chief of Diversity and Inclusion of IUSG. In his free time you can find Matt reading, The Self Aware Universe by Amit Goswami and hiking around Griffy Lake. Mackenzie is a junior studying Human Resource Management through the School of Public and Environmental Affairs (SPEA). She is also pursuing minors in Law and Public Policy through SPEA and in Marketing through the Kelley School of Business. After graduation, Mackenzie hopes to become a Human Resource Manager. You may also know Mackenzie through the Human Resource Association at IU. 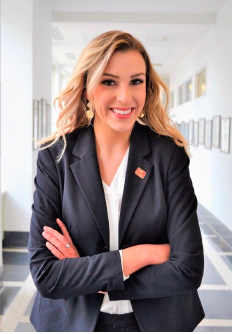 Prior to this, Mackenzie served as a member of congress for the Indiana University Student Government (IUSG) during her sophomore year. Mackenzie is passionate about ensuring everyone’s voice is heard on campus. She also seeks to improve student resources and promote a campus culture of diversity of thought. Mackenzie believes solutions to campus issues are not exclusive to those who compromise IUSG, but amongst the students on campus. Due to this, Mackenzie will prioritize the opinions and ideas of students, which she intends to integrate into her policy. She will improve IUSG responsiveness by holding regular office hours and targeted student organization outreach. If you see Mackenzie at a coffee shop in Bloomington or at the gym (most likelyrunning), don’t hesitate to introduce yourself! Mackenzie hopes to unify IU for current and future students as well as alumni. Mackenzie is from an IU family from South Bend, Indiana. Her father graduated in 1987, a “banner year”, and her older brother and younger sister currently attend IU in Bloomington. The term “Go Hoosiers” has a lot of meaning for this group. Go Hoosiers! 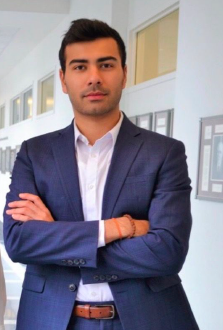 Mihir Barot, is a junior in the Kelley School of Business pursuing a degree in Finance and Professional Sales. Originally from Jersey City, New Jersey, a city six miles south of Manhattan, Mihir spent a large fraction of his life around a vastly diverse environment which allowed him to develop a natural passion for helping and learning through other people. As a student at Indiana University, Mihir has been able to only grow on that passion through joining both a professional business fraternity, Alpha Kappa Psi where he served as the former Associate Director of Professional Development as well as the Rush Chair for his social fraternity, Sigma Alpha Mu, where he along with two peers led the recruitment process for over 200 prospective members. He is also apart of the Global Sales Workshop, which is a selective organization focused on preparing students to start their careers in Professional Sales.The Bridge IU platform is one that will be molded through the voices of the students here at Indiana University as Mihir and the rest of the team cannot wait to come and speak to you along with the different student organizations. Mihir hopes for this to be an extension of his passion for people and the IU community and is beyond ecstatic to pursue Vice President of the Indiana University Student Government while bringing oneness and solidity to our amazing campus!